Our Fleet Admiral asked those of us who could, to make our Bridge Crew themed, just for fun, after everyone had theirs wiped by the last event. I named mine: Riker's Follies. 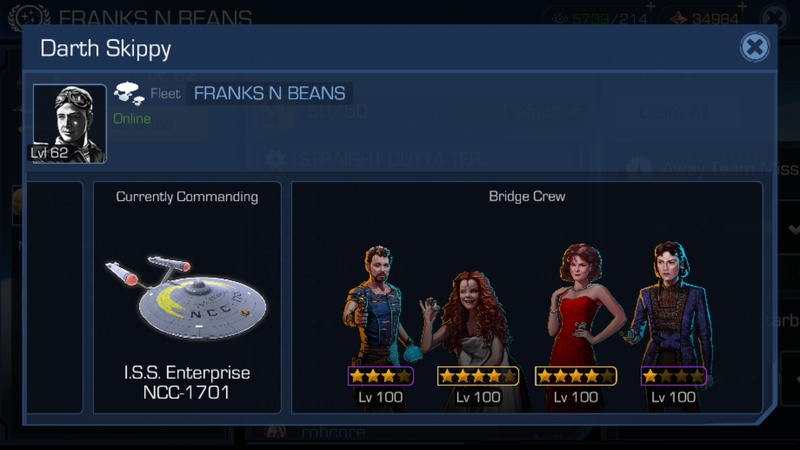 Anyone else have a fun themed crew? Add this to the existing thread. You have a great ship crew. Can u delete this thread?